thank you goes out to the Legion Riders, Parkwood Baptist Church, Patriot Jack Outfitters, Partnership for Children, Child Care Connections, YMCA, Mauney Memorial Library, Texas Roadhouse and others for making this event possible,” said Christy Conner, Special Events Director for the City of Kings Mountain. For additional information, please call 704734-0333 or visit www. cityofkm.com. The Kings Mountain Ministerial Association will be leading in an Easter Sunrise service, Easter morning, April 21 at 7:00 am at Mountain Rest Cemetery in Kings Mountain. Special music will be presented by Mrs. Rainey Frady and Bill McMurray. Rev. Ron Caulder, pastor of Eastside Baptist Church will be bringing the message. In the event of rain, the service will be moved to Eastside Baptist Church. Everyone is invited to celebrate the resurrection of our Lord Jesus. Angie Moore pins the badge on her husband. 1:00pm. Interment will be a private ceremony at New Hope Baptist Church in Greshamville, GA. In Lieu of flowers, Lou’s wishers were to please donate to the Fork Chapel UMC cemetery fund, c/o Perkins Williams 1761 Farmington Road, Madison, GA 30650. Those wishing to send online condolences to the family may do so at www.littledavenport.com Little & Davenport Funeral Home and Crematory, 355 Dawsonville Highway, SW, Gainesville, Ga. 30501 is in charge of arrangements. Willard Dean Moore, of Kings Mountain, NC was born on April 9, 1943. He passed away on April 9, 2019, on his 76th birthday, at Peak Resources in Gastonia, NC. He was born in Cleveland County, NC, to the late James Gordon Moore and Junie Proctor Moore and was preceded in death by his brother, James Moore and his special dogs, Skeeter and Wilma. Dean was the owner and operator of Moore’s Machine Shop for 45 years. He was a talented machinist and was able to make or fix anything. Dean was a wonderful friend to everyone and would do anything he could do to help anyone. He loved sitting in his swing and waving at passing cars. Dean enjoyed visiting the mountains and loved riding through Kings Mountain State Park. He was a loving and dedicated husband, daddy, pawpaw and great grandpaw. Dean will be missed greatly by his loving family and friends. He is survived by his wife of 56 years: Wanda Bumgardner Moore, Kings Mountain, NC; daughters: Deanna Brown and husband Joe, Kings Mountain, NC and Susie Graham and husband Kenneth, Gastonia, NC; grandchildren: D Martin (Scott), Highpoint, NC, Jered Chapman (Ben Basilin), Redonda Beach, CA, Tyler Chapman (Meredith), Kings Mountain, NC, Caleb Hughes (Amber), Kings Mountain, NC; Cailyn Van Buren (Eric), Kings Mountain, NC; Jon Brown (Michelle), Lincolnton, NC; great grandchildren: Ashtyn, Cadyn and Kensen Martin, Railey and Kye Hughes, Wyatt and Elliot Van Buren, Liv Parsons, Jake and Addison Brown A funeral service was held on Friday, April 12, 2019 at 12:00 Noon at David Baptist Church with Rev. Brian Taule officiating Visitation was on Friday, April 12, 2019 from 10:00 AM to 11:30 AM prior to the service at David Baptist Church Interment was in David Baptist Church Cemetery . In lieu of flowers, Memorials can be made to: Senior TLC,1875 Remount Rd., Gastonia, NC 28054 or Peak Resources of Gastonia, 2780 X- Ray Dr. Guest register is available at: www.harrisfunerals.com. Harris Funeral Home and Cremation Services, Kings Mountain, NC is in charge of arrangements. Margaret Frances Ware, 91, of Kings Mountain, NC, passed away on April 9, 2019 at CaroMont Health in Gastonia, NC. She was born in Cleveland County, NC, to the late Oscar Dewey Ware and Janati Sigmon Ware and was preceded in death by her brother O.D. Ware. Margaret was an active member of El Bethel United Methodist Church. She loved participating in all church activities including helping with the El Bethel Church breakfast and serving in numerous ladies groups. Margaret was a retired Registered Nurse who loved helping anyone in need. She was a very humble, compassionate and caring person. Margaret was very independent her entire life. She loved her church and the church family loved Margaret. She is survived by a number of loving family members A Memorial Service was held on Saturday, April 13, 2019 at 2:00 PM at El Bethel United Methodist Church with Rev. Julie Roberts and Pastor Tripp Hord officiating Visitation was immediately following the service in the fellowship hall of El Bethel United Methodist Church A private burial was held. In Lieu of flowers, donations can be made to El Bethel United Methodist Church at 122 El Bethel Rd. Kings Mountain, NC 28086 Guest register is available at: www.harrisfunerals.com. Harris Funeral Home and Cremation Services, Kings Mountain, NC is in charge of arrangements. Legion Riders spring ride By Loretta Cozart American Legion Riders joined in a Spring Run on March 30, joining with Legion Riders from Bessemer City and Shelby. Seventy riders participated and a 50 / 50 Raffle was held at each stop. Together the three groups rode to Rock Hill, SC and raised money for Kings Mountain Legion Riders charitable work. James Howard Worthy, age 72, of 612 Charles Rd., Apt. #17, Kings Mountain, NC died on Thursday, April 11th at Catawba Regional Hospice. Mr. Worthy was a military veteran and SP4 in the Army He attended Galilee United Methodist Church and was formerly employed by Buckeye Fire Extinguishers in Kings Mountain, NC until his health declined. He’s preceded in death by his parents, Thomas Worthy and Gladys Adams and brother, Jerry L. Worthy. He is survived by his special friend of 33 years, Shonda Morales of the home; one son, Joshua Worthy of Kings Mountain, NC; one stepson, Johnny Burns (Kim) of Asheville, NC; one stepdaughter, Chrystal Burns of Gardner, NC; one grandchild, Dayson Worthy of Kings Mountain, NC; four step-grandchildren, Cliffton Chavis Jr., Joshua J. Burns, Latasha Burns, and Christopher Chavis all of Raleigh, NC. No memorial service is planned at this time. Withrow’s Funeral Home, Inc. of Kings Mountain, NC is in charge of arrangements. Sr. Center activities The H. Lawrence Patrick Senior Center has a variety of activities planned throughout the remainder of April. From computer classes to Medicare basics to saving lives through blood donation. Seniors have plenty to learn about utilizing the services of the Senior Center. Computer Classes The Patrick Senior Center will be offering computer classes (age 55+) in the center’s computer lab for an eight-week session on Tuesdays from 2 p.m. to 4 p.m. beginning on April 23, 2019. These advanced classes will include technology buying guides, using cloud services (Google and Microsoft), how to get things done on the web, becoming more tech savvy, MS office basics, and advanced PC setup and maintenance. Please call Karen Grigg at 704-734-0447 to register for these classes. Red Cross Blood Drive The Patrick Senior Center will be sponsoring a Red Cross Blood Drive on Friday, April 26 from 10:00 a.m. until 2:30 p.m. Please call Karen Grigg to schedule an appointment. Your donation could save a life! David Baptist Church charity golf event May 3 By Loretta Cozart David Baptist Church’s inaugural Charity Golf Classic is scheduled for Friday, May 3 at 1 p.m. at the Kings Mountain Country Club. Proceeds benefit David Baptist’s youth group summer camp and activities. Registration is $50 per player / $200 per foursome. A silent auction with door prizes will also be held during the event. For more information, contact Youth Pastor David Craig. David Baptist is a 501(c)3 non-profit and donations are tax deductible. panel discussions, breakout classes, and so much more! This Conference is FREE and is open to men and ladies, single, separated, divorced, widowed, abd college age students. For more information contact Robin Bamberg at 704-460-4751 or Mt. Zion Restoration Church Office at 704-864-8616.
woman 18 years or older. The speaker for the event is Minister Maxine Degree of Jerusalem Church of God Shelby, NC. For more information, please contact Fonda Houze at (704)739-0398. Krista Sands Funeral Director & Embalmer Krista values her female perspective she brings while comforting others during their time of loss. As Kings Mountain’s ’s ONL O Y ONLY Licensed Funeral Home, mee oowned wne nedd by a Licensed Funeral Director, I am greatful for the opportunity to provide the community with a meaningful choice. Noah is proud to be attending the prestigious, Cincinnatti College to Mortuary Sciene. He’s looking forward to his return home. Charles Lowrance Funeral Assistant Charles ﬁnds pride in serving the community for the past 10 years, after serving the grocery business for 44 years. Dwight is, and always has been, honored to serve the area communities for the past 42 years, with compassion, honesty and understanding. Police Chief Lisa Proctor congratulates Lt. Chris Moore on his promotion to Assistant Police Chief. MOORE Mayor Scott Neisler, Assistant Police Chief Chris Moore and Police Chief Lisa Proctor. Mountain Police Department Oct. 2, 1996. He and his family attend Eastside Baptist Church in Blacksburg, SC. He enjoys hunting and fishing but especially likes riding his Harley relaxing on his motorcycle. Talk to a banker for details. ÃøÓàÓæÞ×àÓáÁÏça_`^_g ¶ãá×ÜÓááÝåÜÓà Ask about our business savings rates. Theater each summer, tells the story of our founding fathers’ quest for independence and the impact the Battle of Kings Mountain had on the outcome of the war. The Battle of Kings Mountain WAS the turning point in the American Revolution. Our revolutionary history is unique to Kings Mountain, Cleveland County, and the Carolinas. Your membership helps to celebrate and preserve it for future generations by supporting the telling of OUR history. Liberty Mountain was written by renowned playwright, Robert (Bob) Inman. Questions should be directed to jim@kmlt. org or call the box office at 704-730-9408. Liberty Mountain is produced by Kings Mountain Little Theatre, Inc. with Patrick Yarn Mills as the presenting sponsor and is also funded in part by a grant from the Kings Mountain Tourism Development Authority. Shriner’s BBQ raises money for children’s hospital By Loretta Cozart Kings Mountain’s White Plains Shrine Club, which is part of the the Oasis Shrine, held a barbecue on April 6 from 9 a.m. until noon in the parking lot of American Legion Post 155. Proceeds benefit Shriners Hospital. Members begin cooking on Friday for sale on Saturday morning. Shriner Joel Summit shared, “We cooked 300 chickens and 80 pork butts. We sold out of everything by noon on Saturday. This is our 17th year and we’ve got everything down to a science now. We all do our parts and things run pretty smoothly.” Today, the philanthropic efforts help support Shriners Hospital for Children®, a health care system where children up to the age of 18, and in some areas up to the age of 21, with orthopedic conditions, burns, spinal cord injuries, and cleft lip / palate, are eligible for care. T h e Broad River Genealogical Society presents: W a d e Fairey: “Roots and Recall” on Wade Fairey Sunday, April 14 at 3 p.m. at the American Legion Post # 82, 1628 S. Lafayette St., in Shelby. Fairly’s website, Roots and Recall, celebrates and preserves South Carolina’s history and hosts over 32,000 sites with some 2,500 regular users. Roots and Recall can be accessed for free at www. rootsandrecall.com although a user name and password are required. Fairey worked for 19 years as Executive Director of Historic Brattonsville and Executive Director for the McKelvey Center Archives in York, SC. He is a native of Rock Hill, SC and a graduate of Wofford College in Spartanburg where he received a degree in southern history. He and his wife Cathy reside in Rock Hill, SC and are the parents of two sons. don’t even have to get out of your pajamas to search records online. Two weeks ago, Mauney Memorial Library, in conjunction with DigitalNC.org, released additional years of the Kings Mountain Herald online. The years available include, in all or part, 1965, 1966, 1968 – 1974 and 1976 – 1982. Prior issues include 1914 and 1937 – 1954. These records are extremely valuable to history buffs and genealogists. Sunday, April 21, 2019 Service will begin at 10:00 am. KMIS is excited to announce Ms. Jordan Kool as KMIS’ Teacher of the Year. Ms. Kool has been teaching for four years with experience in second grade and sixth grade. Currently, she is teaching math to our 6th-grade Pioneers on the Panther team. Ms. Kool has family in Virginia and enjoys traveling home to see her family and sweet niece. Ms. Kool is a dynamic teacher who works tirelessly L-R: Mrs. Amy Moss, Principal to help her students not only learn of KMIS and Ms. Jordan Kool math but be lifelong learners in all areas. When asked why teaching her response included, that she had teacher that she loved and made a huge impact on her. She wants to be that role model and make that kind of impact on her students. Thank you, Ms. Kool, for all of your hard work and dedication. “The Branch” Connecting People to the Vine. 1941. Thanks to the stewardship of the Kings Mountain Fire Department, these films are now preserved at The NC State Archives, too. Photographer Herbert Lee Waters traveled from the Piedmont to the Mountains, filming people in their hometowns doing everyday things. He recorded more than 250 films in all and did it to feed his family during the Great Depression. People were recorded just as they were: children at school, people at work, and shoppers traveling up and down Mountain Street and Battleground Avenue. Both these films are been made available at The NC Archives by the Water’s family. Duke University and UNC Chapel Hill have a few additional ones, too. Walking down memory lane is now as easy as sitting down to your computer. Check out https:// www.digitalnc.org/ to peruse yearbooks, newspapers, images, memorabilia, city directories and audiovisuals. Once in the section you choose, search for Kings Mountain. You’ll be surprised what you’ll find. Even newcomers to the city will find it fascinating how Kings Mountain residents valued their history enough to save it for future generations. And thanks to dedicated historians, you can access the information from your own home. Kings Mountain Herald’s publisher and its advertisers are not responsible or liable for misprints, typographical errors, misinformation herein contained. We reserve the right to edit, reject or accept any articles, advertisements, or information to be printed in this publication. We will provide ad proofs for prepaid ads or ads that are placed by established clients. , INC No proofs may leave our premises without payment “Creating Business For People” and permission and are copyright by Community First Media. No part of this publication may be reproduced in any form without permission from the publisher. No individual or business is permitted to place or attach any ﬂyer, poster or any type of advertisement of any kind to our boxes or on our racks. CANCELLATION OR CORRECTION DEADLINE: The cancellation deadline is the same as the order deadline because much of our cost is involved in the production of the ad itself. If you have to cancel an ad after deadline, it may be necessary to charge for the time and materials we’ve already spent on creating the ad. APPROVAL: All content is accepted subject to approval by the publisher. ERRORS: We want your ad to be accurate and correct, and normally there will be no errors. However, should there be an error and it is our fault, we will give you a correction letter and return (or give credit) for the actual space occupied by the incorrect item. Of course you should notify us of the error, before the ad runs a second time. “Blessed is He who comes in the name of the Lord.” (Matthew 21:9) It’s a beautiful service. It’s a somber service, because with great expectation, you know what will be coming next. But, just like my original warning, I will not rush. What does that Jesus look like today, riding in on a donkey, in our own lives? Many expected a Jesus to ride into Jerusalem on a horse, wearing armor, ready for battle; however, he rode in meekly, like a Lamb to slaughter. That’s the point. That’s the point that so many people missed. In their very midst was the Man, God deep in flesh, who was sent to take away their sins, die on a cross, and be raised from the dead. Sunday, the enemy knew the game plan. That’s what we see played out Holy Week. I encourage you to go to a church that has Holy Week Services if your church does not. Don’t rush Easter. The Work on the Cross was Holy Work, Godly, Work, Goodly Work…. Not Rushed Work! The crowds that went ahead of him and those that followed shouted, “Hosanna to the Son of David!” “Blessed is he who comes in the name of the Lord!” “Hosanna in the highest heaven!” Matthew 21: 9 NIV Lord, thank you for coming. Thank you for saving. We love you. Amen. Sulphur Springs National Day Easter Cantata of Prayer May 2 Sulphur Springs United Methodist Church, located at1642 Sulphur Springs Rd., Shelby will hold their Easter Cantata “God’s Plan for Our Redemption” a compellation of songs from Christ's journey to the cross and His Resurrection, on Sunday, April 21, 11 AM. Everyone is invited. For questions, call 704484-8129 or 980-329-1404. Royal Praise Ministries 2055 Shelby Rd. 704-484-3204 227 S. Cherokee St. Kings Mountain Tire Inc.
Arise Church 830 E. King St.
Notice: In order to accommodate the number of churches in our communities, we will print two alternating lists of churches each week. If you don’t see the church you’re looking for, be sure to check next week. We Support our local churches. a bit and get too soft. AMBROSIA FRUIT SALAD 1 can (8-1/4 oz.) fruit cocktail, drained 1 can (8 oz.) unsweetened pineapple chunks, drained 1 cup green grapes 1 cup seedless red grapes 1 cup miniature marshmallows 1 medium banana, sliced 3/4 cup vanilla yogurt 1/2 cup sweetened shredded coconut In a large bowl, combine all ingredients. Chill until serving. GLAZED HAM 1 fully cooked bone-in ham (5 to 7 lbs.) 1 cup packed brown sugar 2 tsp. prepared mustard 1 to 2 tablespoons cider vinegar • Preheat oven to 325°. Place ham on a rack in a shallow roasting pan. Using a sharp knife, score surface of ham with 1/4-in.-deep cuts in a diamond pattern. Cover and bake 1-1/2 to 2 hours or until a thermometer reads 130°. • In small bowl, combine the brown sugar, mustard and enough vinegar to make a thick paste. Remove ham from oven. Spread sugar mixture over ham. Bake ham, uncovered, 15-30 minutes longer or until a thermometer reads 140°. yellow mustard 1 1/2 teaspoons salt 1/2 tsp. black pepper 1 large onion, chopped 2 stalks celery, chopped 1 green bell pepper, seeded and chopped 1/4 cup grated carrot 2 TBSP. chopped pimento peppers • Bring a large pot of lightly salted water to a boil. Add the macaroni, and cook until tender, about 8 minutes. Rinse under cold water and drain. • In a large bowl, mix together the mayonnaise, vinegar, sugar, mustard, salt and pepper. Stir in the onion, celery, green pepper, carrot, pimentos and macaroni. Refrigerate for at least 4 hours before serving, but preferably overnight. QUICK YEAST ROLLS 2 TBSP. shortening 3 TBSP. white sugar 1 cup hot water 1 (.25 ounce) package active dry yeast 1 egg, beaten 1 teaspoon salt 2 1/4 cups all-purpose flour • In a large bowl, mix the shortening, sugar, and hot water. Allow to cool until lukewarm, and mix in the yeast until dissolved. Mix in the egg, salt, and flour. Allow the dough to rise until doubled in size. • Grease 8 muffin cups. Divide the dough into the prepared muffin cups, and allow to rise again until doubled in size. • Preheat oven to 425 degrees. Bake for 10 minutes in the preheated oven, or until a knife inserted in the center of a muffin comes out clean. Tuesday – Saturday, 10 am to 4 pm. Admission is Free. For more information please visit www.SouthernArtsSociety. org or call 704.739.5585. FREE PROGRAM. To register log on to mauneylibrary. org or call. For more information, email terry.bivens@mauneylibrary.org or call the library at (704) 739-2371. Mauney Memorial Library is located at 100 S. Piedmont Ave., Kings Mountain, NC 28086. For the latest in library news and events, visit www.mauneylibrary.org. Medical Spa @ Carley Family Care NeoGen™ Restores and regenerates the skin’s natural architecture. North Carolinians receiving sales calls that currently block or misrepresent the origin of the solicitation,” Saine said. Current law in North Carolina only prohibits telephone solicitors from knowingly using any method to block or otherwise circumvent a telephone subscriber’s use of a caller identification service. If passed into law, the Truth in Caller ID Act would become effective December 1, 2019. Life is busy... let an agent handle your insurance, and relax knowing they have you covered. individuals with opioid use disorder, including inpatient and outpatient treatment, rehabilitation and medication assisted treatment (MAT). Those with access to affordable health care through Medicaid are twice as likely as the uninsured to receive treatment. “One of the most powerful tools for addressing the opioid epidemic is providing access to health care through affordable insurance coverage,” said N.C. Department of Health and Human Services Secretary Mandy K. Cohen, M.D. “We’ve seen the impact firsthand in states that have expanded access to health insurance. After Ohio closed its insurance coverage gap, 75% of uninsured enrollees with opioid use disorder experienced improved access to care. And Dayton, Ohio – ground zero of the opioid epidemic – saw a 54 percent decrease in opioid deaths. We need every tool in our arsenal to fight this epidemic.” Turning the tide of the opioid crisis is one of Governor Cooper’s primary goals. North Carolina’s Opioid Action Plan lays out key strategies to achieve this goal, such as reducing the oversupply of prescription opioids and increasing treatment and community awareness. DHHS is currently planning a second Opioid Prevention Summit in June 2019, to engage stakeholders to continue the effort. Learn more and register at http://www.opioidpreventionsummit.org/. As part of Governor Cooper’s focus on eliminating the opioid epidemic, his administration has continually sought out grants for treatments and prevention efforts and issued Executive Order No. 48: Prevention and Treatment of Opioid Use Disorder to pave the way for more federal funding for these efforts. People who need help with treatment or recovery can get help by contacting their Local Management Entity/Managed Care Organization (LME/MCO). To find out which LME/MCO serves your county, visit ncdhhs. gov. ism resulted in the installation of cameras just outside the bathrooms and throughout the facility at Patriots Park. Repairs estimated at $1,500 are already underway. “We just want folks to know. If you do vandalism at the park, you are going to get caught,” he said. Chief Proctor said, “We rely on our ‘police citizen partnership’ to assist in making our city safe and we ask that if you are in our parks and you see something suspicious please call us and report it. If you see something, say something.” “This park was built for our citizens and visitors to use and enjoy for special events and to have a place to come and exercise or just simply to relax. We take pride in our community and those choosing to cause harm to it will be prosecuted. I want to personally thank those who assisted in this investigation. This shows that working together we can continue to make our community safer,” she said. ■ POLICE ARRESTS APRIL 4: Charles Washington Taylor, 24, 612 Charles St, Apt. 1, probation violation, unauthorized use of conveyance, and fugitive, $ 25,000 secured bond. A South Carolina was located with extradition. APRIL 6: Robert Lee Evan Pennington, 29, 426 Fulton St., order for arrest, passion of marijuana, $475 secured bond. APRIL 6: Reginald Edward Turner, 41, 400 W. Parker St., six counts larceny, six counts possession stolen goods, $10,000 secured bond. APRIL 6: James Stephen Tanner, 42, Mount Holly, larceny, criminal summons. APRIL 6: Larry Dean Hannah, 52, Bessemer City, violation of domestic protection order, no bond. APRIL 7: Paul Samuel Weeks, 47, 111 Ironwood Place, Assault on a sports official, criminal summons. APRIL 7: Vearnus Braden Bell, 40, 832 First St., second degree trespass, communicating threats, criminal sum order for arrest, failure to appear, possession marijuana, order for arrest, failure to appear, possession drug paraphernalia. He was transported to Gaston County Detention Center. $10,000 secured bond. APRIL 9: Barry Eugene Philbeck Jr., 25, 102 Brantley Dr., possession heroin, felony; possession methamphetamine, felony; possession Schedule II, prescription; possession of Schedule narcotics; possession Schedule II narcotics, possession drug paraphernalia, $30,000 secured bond. APRIL 9: Michael Derek Horne, 30, 1107 S. Battleground Ave., possession methamphetamine, felony, $5000 secured bond. APRIL 9: Robert Max Helsdon, 24, 1062 Mountain Crest Dr., domestic asslt, injury to personal property. Helsdon was transported to Gaston County magistrate who issued a bond nd court date. APRIL 10: Ty’ree Dshawn McCoy, 20, 902 Second St., possession stolen firearm, felony, $5,000 secured bond. $30,000. APRIL 4: Officer J. L. Dee said that Amanda Murphy of Shelby, operating a 2005 Dodge, backed from a parked position and hit a 2005 Kia operated by Christy Kinmon, 101 Fulton Dr. Property damage was estimated at $2,000. APRIL 8: Officer J.L. Dee responded to a three-vehicle crash on US 74 at Phifer Road. He said that three drivers – Jerry Lassiter, 213 Orr Terrace, James Roach, Rock Hill, SC, and Angela Thomas were traveling East on US 74 Business when Thomas, operating a 2014 Kia stopped for traffic at the intersection of Phifer and Shelby Road. Roach, operating a 1998 Nissan, slowed and the 2006 Ford hit the Nissan. Property damage was estimated at $5500. APRIL 8: Officer J.L. Dee said that Kevin Anthony, 1060 Barnett Dr., operating a 1999 Chevy, and Connie Cain, 304 Amhurst Dr., operating a 2006 Chevrolet, were driving on Phifer Road and Cain slowed for traffic at the intersection of Phifer and Somerset Roads and was struck by the Anthony vehicle. Property damage was estimated at $2,000. APRIL 10: Officer H. W. Carpenter said that Brandi Crespo, 110 Benton Road, operating a 2005 Honda, rear-ended a 2014 Jeep operated by Troy Conner, 409 Scotland Drive, stopped for traffic congestion on Phifer Road. Property damage was estimated at $4,000. APRIL 10: Officer H. W. Carpenter said that Harley Cassada, 434 El Bethel Road, operating a 2008 Pontiac sideswiped while passing a 2007 Mazda operated by Kristin Day, 109 Stowe Acres. The accident happened on Maner Road. Property damage was estimated at $3500. APRIL 10: Waylon Bell, 5076 Pennington Place Apt. 23, operating a 2006 Lexus, struck a 2015 Nissan operated by Christopher Bush, Clover, SC. The accident happened at a stop sign on Oriental Avenue with $950 approximated damage to the Lexus. time for them. Legion members chat with guests, refill beverages, and work hard letting veterans know they are appreciated. Others who want to support veterans are welcome to attend for a small donation which helps fund future breakfasts. Kings Mountain’s American Legion Post 155 host a Veteran’s breakfast the first Saturday of every month, from 9 a.m. to 11 a.m. at the Otis D. Green Post home on East Gold Street. The next Veterans Breakfast is May 4.
day delay. Monday’s garbage will be picked up on Tuesday, Tuesday’s garbage will be picked up on Wednesday, Wednesday’s garbage will be picked up on Thursday, and Thursday’s garbage will be picked up on Friday. RECYCLING service will be changed as follows: Route 6 and 7 will be picked up on Tuesday, Route 8, 9, and 10 will be picked up on their regular schedules on Wednesday, Thursday, and Friday. Starr Dowell standing on an empty Cooper River Bridge at sunrise. Dowell stops traffic on the Cooper River Bridge By Loretta Cozart On Saturday, April 6, Starr Dowell stopped traffic on the Cooper River Bridge between Charleston and Mt. Pleasant, SC. in an official capacity timing the Cooper River Bridge Run, an annual run supporting local charities. of the suspension cables.” More than 3,500 runners participated in this event, including Richard Hefner, Joey Strictland, Marsha McCarthy, and Nancy Beck from Cleveland County. Dowell is the secretary for the Kings Mountain Gateway Trail and does the timing for their annual run. PATTERSON GROVE BAPTIST CHURCH HE LIVES! Paper shredding event at library By Loretta Cozart Mauney Memorial Library at 100 S. Piedmont Ave. in Kings Mountain announces a paper shredding event on Tuesday, April 30, from 3 p.m. to 6 p.m. Protect yourself from identity theft. Bring up to three (3) document boxes or 75 lbs. of paper per person. Get busy with spring-cleaning and rid of your unnecessary documents at this free event, sponsored by Local Federal Credit Union. For more information, email terry.bivens@mauneylibrary.org or call the library at (704) 739-2371. Ramey Kerns Bridges and Dan Potter. Ramey played for Potter and later served as his assistant coach at KMHS. She still assists current KMHS head coach Erik Price while also serving as head girls coach at KM Middle. undefeated until the state championship game when they lost to White Oak, a team that won four consecutive state titles. Except for her senior year when she missed considerable playing time because of an injury, Kerns had spectacular statistics and was named to every all-star team in the western end of the state. Her sophomore year she had a school record 50 goals and 30 assists – both NCHSAA records at that time. Her high school record has since been broken by Virginia Dellinger and Lindsey Deaver. During her junior season, she scored 29 goals and had 12 assists. She missed a big portion of her senior year because of a torn ACL and broken nose. She was still selected to the All-Conference and All-Charlotte Observer teams. She was All-Conference all four years and All-Region her freshman, sophomore and junior years. During her sophomore year she was also All-Observer, Conference Player of the Year and Western Regional Player of the Year. Her junior season she was All-Conference, All-Region, All-State, All-Observer and Conference Player of the Year. She also held most of the records at East Tennessee State despite playing just three years. Her freshman year she tied for first in goals with six and had one assist while making the All-Atlantic Sun team. 704.734.4782 Ramey Kerns in action during her college days at East Tennessee State University. KM boys, girls win in track Kings Mountain High’s track teams pulled off victories over a very competitive field last week. The Lady Mountaineers won with 123 points over Stuart Cramer 98, Hunter Huss 68, Shelby 29 and East Rutherford 26. The KM men edged Stuart Cramer 92-90, followed by Shelby with 85 points, Huss 56 and East Rutherford 35. The KM women were led by Marlee Arnold with first place victories in the 1600, 800, 3200 and a leg on the winning 4x800 team. Zahra Roberts won the 100 meter dash and Jasmine Clark won the 400 meter run. KM’s Kaleb Estridge had the top performance of the day in the men’s meet, taking the pole vault with a vault of 13 feet even. Kings Mountain’s men were also impressive in winning the 4x100 and 4x200 relays. Team members were Jaden Fields, Quintin Davidson, Chris Brittain and Shyrone Reid. Other first places for the Mountaineers were David Parsons in the shot and Parker Key in the 1600 meter run. Golfers fourth in BSC Kings Mountain High finished fourth in last week’s Big South Conference golf match at Riverbend/YMCA golf course. Host Crest edged Forestview 295-297 for first place. The Chargers’ Logan Costner and Stuart Cramer’s Austin Holland shared medalist honors with even par 72s. Cramer came in third at 314, followed by KM 327, North Gaston 358, Burns 397 and Ashbrook 415. Hunter Huss competed by did not have enough golfers to qualify for a team score. Brady Waters led the Mountaineers with a 76. Cooper Putnam shot 77, Tucker Leatherman 83, Seth Wyte 91 and Seabron Echols 104. The Mountaineers will compete in the Cleveland County tournament Tuesday, April 23 at Cleveland Country Club. Burns is the host team. Shuffler wins two matches Doug Shuffler was the winner in both Cleveland County Senior Golf Association matches last week at Deer Brook and Kings Mountain Country Club. Shuffler shot a two-over 74 at Deer Brook Thursday and an even par 72 at Kings Mountain on Tuesday. Clayton Bailey took low net at Deer Brook with a 58 (82-24). Jimmy Blanton was closest to the pin on #12 and Charles Wall sank the longest putt on #18. Dale Shelton won low net at Kings Mountain with a 62 (82-20). Shuffler was closest to the pin on #5 and Mike Barbus sank the longest putt on #18. Nicola Bridges (3) gets the ball downfield for the Lady Mountaineers in last week’s game against Forestview at John Gamble Stadium. 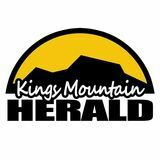 Kings Mountain soccer still undefeated in BSC Kings Mountain High’s women’s soccer team continued their dominance of Big South 3A Conference teams last week with impressive victories over Forestview and Gastonia Ashbrook. On Wednesday, the Lady Mountaineers took a 4-1 win over Forsetview at John Gamble Stadium. Lindsey Deaver led the scoring with two goals, and she assisted another goal. Sarah Drennan had a goal and an assist. Reagan Buchanan had a goal and Hannah Clark had an assist. Baylee Marr was in goal. Thursday, the KM ladies travel to Gastonia to take on the Green Waave and came away with a 6-0 shutout. Deaver again led the offense with two goals. Reagan Buchanan, Hannah Clark, Sarah Drennan and Emma Herndon scored a goal each. Nicola Bridges, Drennan, Carly Johnson, Clark and Deaver each had an assist. Marr and Kennedy Barnes were in goal. Reagan Buchanan takes a shot in last week’s KMHS soccer win over Forestview at John Gamble Stadium. “It ain’t over til it’s over,” was one of New York Yankee great Yogi Berra’s famous Yogi-isms back in his heyday. It was certainly true Wednesday night at KM’s Lancaster Field when what appeared like a 4-3 victory for the Mountaineers turned into a last inning disaster when Forestview scored nine runs to take a 12-4 lead but then had to hold off a Mountaineer rally in the bottom of the seventh for a 12-11 Big South victory. Both teams paraded 13 batters to the plate in the final frame. The Mountaineers had the bases loaded with two outs when Forestview relief pitcher Jake Lee got John Harmon Melton on a fly ball to left to end the game. Kings Mountain’s 4-3 lead appeared safe when Joe Ruffalo came on to begin the inning after Bryce Fisher had handcuffed the Jaguar batters since relieving starter Justin Cooke and shutting down a Forestview rally. The Jags had grabbed a 1-0 lead in the first inning on Jackson Harbin’s sacrifice fly, and increased it to 3-0 with two unearned runs in the top of the third. Kings Mountain battled back to trim the margin to 2-1 in the bottom of the third on an RBI single by David Bell and a bases-loaded walk to Fisher. Fisher came on to put out a bases-loaded jam in the fourth, and Bell smashed a two-run homer in the fifth to put the Mountaineers on top 4-3. That seemed comfortable until the top of the seventh, when Jake England’s single to left was followed by two errors and two walks to bring the tying run across. The Jaguars went ahead 5-4 on a bases-loaded squeeze bunt by Jesse Osborne and that would eventually turn out to be the winning run. The Jaguars tacked on seven more runs off Ruffalo and Zach Crawford to go up 12-4 before Melton came in from centerfield to get the final out. The Mountaineers weren’t going down without a fight, though, as Boone Cartee ripped a double to left-center to open the bottom of the seventh. With runners on second and third with one out, Forestview appeared solidly in command but Melton’s fly ball to right was dropped and Cartee scored to cut the margin to 12-5. A Crawford single brought in two more runs, and a later single by Stevens cut the score to 12-8. After a walk to Silas Price loaded the bases, Forestview called Lee to the mound and he got Blake Broome hit a sacrifice fly to center for the second out, cutting the score to 12-9. Cartee’s second hit of the inning brought the score to 12-10, and Bell’s single to center accounted for the final score. For the game, the Jaguars collected only six hits with four of them coming in the seventh inning. Kings Mountain had only two hits over the first six innings, both by Bell. Cartee added two in the seventh and Crawford, Ruffalo Stevens and Bell had one apiece. Kings Mountain’s Katherine Martin battles a Forestview defender in last week’s Lady Mountaineer win at John Gamble Stadium. Mountaineers, finishing with a three-hitter with DeLozier getting two of them. Kings Mountain collected seven hits. John Harmon Melton went 2-for-4 with two runs batted in, and Blake Broome added two hits and one RBI. Boone Cartee had a double in three trips; Bryce Fisher had a double and three RBIs in four trips, and Jaxson Bolin went 1-for-3. KM Middle 6-3 winner Kings Mountain Middle defeated Lincolnton 6-3 last week to improve to 5-3 in the division. Getting the win was Jackson Toney, who pitched five innings while allowing just two this and fanning seven. Marty Lovingood pitched the final two innings without allowing a hit. Cole Irby led the hitting with three hits. Lovingood, Colton Mayes and Hunter Ellis had two hits each. Caleb Marr, Bennett Davis and Jacob Hamrick each had one hit. KM returns to action at Burns on April 23 and will be at home on April 24. Summer Deaton works on a complete game victory over Forestview in last week’s game at Lancaster Field. Kings Mountain Middle’s soccer team lost to Lincolnton 4-1 last week. Lincolnton got off to a quick 2-0 start in the first seven minutes, and extended the lead to 3-0 at halftime. Lincolnton went up 4-0 early in the second half. Melia Myers scored KM’s only point in the closing minutes. The Lady Patriots take a 2-7 division and 3-8 overall record into their final game of the season April 23 at Burns. Assistant coach Jeff Cloninger gathers the Lady Mountaineers for a talk during last week’s game. ing a double and two runs batted in. Senior Emily Graham had a two-run single and senior Logan Locklair also drove in a run. Jozie Nail went 3-for-4 with a double and Andrea Melton and Jenny Ramsey each had two hits and two runs batted in. Kaylee Lavin and Brittney Reynolds each had a hit. Mark Petrilli in singles. Cramer 9, KM 0 KM 6, North Gaston 3 KM winners were Aydin Roper, Triston Hannon, Ryne Smith and Mark Petrilli in singles; and Connor Goodson and Aydin Roper and Ryne Smith and Mark Petrilli in doubles. Burns 8, KM 1 KM’s only winner was Aydin Roper in singles. Ashbrook 9, KM 0 KM 6, HUSS 3 KM winners were Tucker Leatherman, Connor Goodson, Aydin Roper, Triston Hannon and Ryne Smith in singles and Noah Dettloff and Triston Hannon in doubles. FORESTVIEW 9, KM 0 CREST 8, KM 1 The only KM winner was Ryne Smith. plate attack with 3-for-4. Irby hit a home run in the first inning. Andrea Melton got the start on the mound. She allowed just two runs on one hit while striking out three. Alice Ogle, Kaylee Lavin and Sarah Bell all delivered RBIs in a ninerun sixth inning that nailed down the mercy rule victory. Forestview took advantage of nine errors to defeat the Kings Mountain JVs 12-6 Wednesday at Lancaster Field. Only four of the Jaguars’ runs were earned. They scored in every inning, and erased a 6-4 deficit with five runs in the fourth and three in the fifth. Trey Crawford, Peyton Fisher, Charlie Melton and Devin Pressley shared mound duties with Melton taking the loss. Chris Ruffalo, Jaxson Bolin and AJ Wylie led the Mountaineers at the plate with two this each. Ruffalo drove in two runs and Bolin’s double was KM’s only extra base hit. Honor your Graduating Senior in our Special Graduation Edition. Call me to see how this works. Make your business visible to over 6500 local customers each week in the Kings Mountain area. Copies available at locations all over Kings Mountain and Grover or at the Kings Mountain Herald ofﬁce. baseball, Enka at Kings Mountain (JV/V DH). Wed., April 24 4 p.m.- High school track, Cleveland County championship at Kings Mountain. 6 p.m. – High school soccer, Kings Mountain at Shelby. and to motivate the candidate to become a great teacher.” The assessors will be GWU School of Education doctoral candidates, who are principals, assistant principals and other leaders. They will be paid to assist the class professors in evaluating the students’ work and can give additional insight from their experience in the field. “The goal is to provide detailed, constructive feedback in 36 hours after an assignment is due,” Bull noted. “We know the adult learners will be anxious about going back to school and want to know how they are performing.” For more information about the “TA 2 Teacher” program, contact Donald Barringer at dbarringer@gardner-webb.edu, 704-406-4624 or Dr. Prince Hycy Bull at pbull@gardner-webb.edu, 704-406-4402. Pizza Buffet • Take-Out • Pasta Create Your Own Pizza • Toasted Subs Gluten Free Pizza Available! worked at CCC in both part-time and full-time positions for more than 15 years. He and wife Mary reside in Fallston with their two children. Elia Grahl has joined CCC as Success Coach. She earned her Bachelor of Arts in Human Development from Brown University. Grahl has focused on K-12 education with a series of high-performing charter schools in the northeast, working as a teacher and school administrator. She and husband Josh reside in Gastonia. Bruce Mack has been promoted to Vice President of Economic and Workforce Development. Mack has been with the College for nearly 23 years, serving as a faculty member, director and dean. In 2008, Mack was awarded the Excellence in Teaching Award from Cleveland Community College. He also won the Phi Theta Kappa National Honor Society Chapter Service Award twice. He currently serves on the board of directors for the Cleveland County YMCA, the United Way, the State Employees Credit Union, the Cleveland County Schools Educational Foundation, and the Community Math Academy. A native of Shelby, Mack has an Associate of Applied Science Degree in Engineering Technology from Gaston College, a Bachelor of Science degree in Engineering Technology from the University of North Carolina at Charlotte, and a Master of Engineering from NC State. He is currently enrolled in a doctoral program at Gardner-Webb University. Mack and his wife, Michelle, have two children and reside in Kings Mountain. Omar Porter has been named Academic Advisor. A Crest High School graduate, he earned his bachelor’s degree from Gardner-Webb University. Porter worked for Cleveland County Schools for eight years and Communities in Schools – Lincoln County for six years. He is married to Tasha, and they have three daughters. Robert Whisnant has joined CCC as Maintenance Technician. Whisnant previously worked at CCC as a part-time plumbing instructor and later a full-time instructor. He is a Class 1 NC licensed plumber with more than 30 years of experience in commercial and residential plumbing. • Commercial • Ofﬁce • Rental • Foreclosures Quality Work Guaranteed Or You Don’t Pay A Thing! Your hometown pharmacies can take care of you now! Come Pull Your Own Parts! To Place Your Ad Call Mark Blanton at 704-739-7496 Today! Third graders from North Elementary went to Daniel Stowe Botanical Gardens. The three year old class visited Kid Senses. Second graders went to Discovery Place. Third and fourth graders went to the Symphony. STATE OF NORTH CAROLINA COUNTY OF CLEVELAND File No: 18 SP 283 NOTICE OF SALE TAKE NOTICE THAT: William Richard Boyd, Jr., Substitute Trustee, has begun proceedings to FORECLOSE under the Deed of Trust described below, and under and by virtue of the power of sale contained in such Deed of Trust, and an Order entered by the Clerk of Superior Court of the above County, will sell the below described property at public auction as follows: 1. The instrument pursuant to which such sale will be held is that certain Deed of Trust executed by Alpheus B. Howell a/k/a Alpheus Booker Howell and wife, Helen R. Howell a/k/a Helen Robbins Howell, original mortgagors, and recorded in the Office of the Cleveland County Register of Deeds in Deed of Trust Book 1489, at Page 1350. The record owner of such property, as reflected on the records of the Register of Deeds not more than ten (10) days prior to posting this Notice of Sale, if not the original mortgagors, is: A. Devaughn Howell 2. The property will be sold by the Substitute Trustee at 11:30 a.m. on the 30th day of April, 2019 at the Cleveland County Courthouse door in the City of Shelby, North Carolina. 3. The real property to be sold is generally described as 1004 N. Morgan Street, Shelby, North Carolina 28150* and is more particularly described as follows: Being all of that property described in that certain Deed of Trust recorded in Book 1489, at Page 1350 of the Cleveland County, North Carolina Registry. of Trust. 9. An order for possession of the property may be issued pursuant to G.S. 45-21.29 in favor of the purchaser and against the party or parties in possession by the Clerk of Superior Court of the County in which the property is sold. 10. Additional Notice Where the Real Property is Residential with Less Than 15 Rental Units, including single-family residential real property: Any person who occupies the property pursuant to a rental agreement entered into or renewed on or after October 1, 2007, may, after receiving the Notice of Sale, terminate the rental agreement by providing written notice of termination to the landlord to be effective on a date stated in the notice that is at least 10 days, but no more than 90 days, after the sale date contained in the notice of sale, provided that the mortgagor has not cured the default at the time the tenant provides the notice of termination. Upon termination of a rental agreement, the tenant is liable for rent due under the rental agreement prorated to the effective date of the termination. 11. Any person who occupies the property pursuant to a bona fide lease or tenancy may have additional rights pursuant to North Carolina General Statute section 45-21.33A. NOTICE OF PUBLIC HEARING Please accept this information as a notice of a public hearing with the City Council on Tuesday, April 30th, 2019 at 6:00 PM to consider a modification of the City of Kings Mountain Zoning Ordinance to require a Conditional Use Permit in the R-10, R-9, RS-8, R-8, RS-6, and R-6 residential districts for the following uses: • Golf Courses, including a Pro Shop And to consider a modification to the City of Kings Mountain Zoning Ordinance to require a Conditional Use Permit in the R-20 residential district for the following uses: • Golf Courses, Including a Pro Shop • Golf Driving Ranges You are invited to attend the above referenced public hearing at City Hall at 101 W. Gold Street Kings Mountain, NC 28086 in the City Council Chambers in front of City Council on April 30th, 2019 at 6 PM. NOTICE OF PUBLIC HEARING Please accept this information as a notice of a public hearing with the City Council on Tuesday, April 30th, 2019 at 6 PM to consider a request from KM Mountaineer Properties, LLC and J. Houston Properties, LLC (property owners and applicants) to rezone property located at Belvedere Circle/ Waco Road (Tax Map KM 40, Block 4, Lot 13, Parcel number 9483) in Kings Mountain from RS-6 to R-6 (Case No. Z-1-2-19). You are invited to attend the above referenced public hearing at City Hall at 101 W. Gold Street Kings Mountain, NC 28086 in the City Council Chambers in front of City Council on April 30th, 2019 at 6 PM. If you need any additional information, or would like to see additional material about this case prior to the public hearing, please call the Planning Department at 704-734-4595 or visit our office located on the second floor of City Hall. The community Easter egg hunt has been rescheduled for this Saturday, April 20 from 1-3 p.m. at Advent Lutheran Church. The church is located 230 Oak Grove Road, Kings Mountain. There will be food, game, and Tadeonal egg hunt. All ages welcome. SECOND SATURDAY FUN! Seed Swap bring seeds/take seeds home. 9am Kid’s Yoga. 9:30am Group Walk. 9-11am Kids plant sunﬂower seeds. Vendors open 8-noon. Spring produce, herbs, hanging baskets, baked goods, eggs, jams, goat cheese, artisan crafts, and more. City Pavilion 126 W. Marion Street, Shelby. GET WORK DONE HERE! Attention small businesses and entrepreneurs! Do you need temporary ofﬁce space to work or meet clients? We have turn-key, professional space. Biz Hub Coworking located at 407 N. Lafayette St., Shelby, NC. Visit BizHubShelby.com or call 704-466-3051. UNIQUE ANTIQUE STATION. Farm House Decor, Antiques and Collectibles, 20+ vendors. Regular Hours: Tuesday-Friday 11am-5pm; Saturday 10am-4pm; and Sunday 11am-4pm. 985 US 74 Business Hwy., Ellenboro. 828-382-0075. RETIRED REGISTERED NURSE in search of employment. Caring for your loved ones as needed. Former client got better. 828-980-4731. COMMUNITY EVENTS WESTMINSTER PEARIDGE CLUBHOUSE (formerly Pearidge Ruritan Club). Community Meeting: April 13, 9am. Topic: Future state of the clubhouse. If questions, call Evelyn Mon.-Thurs., 9am-5pm at 828-245-2613. CDL NIGHT DRIVER NEEDED. MVS Transportation in Spindale, NC is needing Class A CDL, night drivers. All local run’s, home everyday. Beneﬁts include, Excellent Compensation, Paid Weekly, 6 Paid Holidays, Paid Vacation Week (after 90 days), additional week (after 1 year), paid weekly for Insurance Compensation. Come by our ofﬁce at Spindale Mulch or call 828-748-5353 for more info. dlane64.mvs@gmail.com COMPLETE CARE INC. Is seeking CNAs / In Home Aides for Cleveland and Gaston Counties. Apply M-F, 8am-4pm at 404 W. Warren St, Shelby, NC 28150 or call (704) 480-9340 CARPENTERS NEEDED. Log Cabin Builder needs experienced carpenters. Lake Lure area. Must have dependable transportation. Call Dale Fender, 828-289-9399. EXPERIENCED LABORER FOR ROOFING COMPANY. Must have valid drivers license. 704-477-0516.
BUSINESS OPPORTUNITIES WELL ESTABLISHED RESTAURANT/ BUILDING for 18 years, Joe’s Place, Shelby, NC. Great cash ﬂow, owner selling due to health. $325,000. 704-473-1176. Have a CPAP machine for sleep apnea? Get replacement FDA approved CPAP machine parts and supplies at little or no cost! Free sleep guide included! 866-283-1726 ! Health/Wellness Attention: Oxygen Users! Gain freedom with a Portable Oxygen Concentrator! No more heavy tanks and refills! Guaranteed Lowest Prices! Call the Oxygen Concentrator Store: 855-969-1456 Home Improvement BATHROOM RENOVATIONS. EASY, ONE DAY updates! We specialize in safe bathing. Grab bars, no slip flooring & seated showers. Call for a free in-home consultation: 844-376-0084 Home Improvement ENERGY SAVING NEW WINDOWS! Beautify your home! Save on monthly energy bills with NEW WINDOWS from 1800Remodel! Up to 18 months no interest. Restrictions apply 888-6760813 Home Improvement AFFORDABLE NEW SIDING! Beautify your home! Save on monthly energy bills with beautiful NEW SIDING from 1800Remodel! Up to 18 months no interest. Restrictions apply 877-7310014 Internet Earthlink High Speed Internet. CLEVELAND COUNTY GARAGE DOORS. Spring Garage Door Special: Single size starting at $499. Double size starting at $849. Garage door repairs and installations. Ask about glass door installation and repair. 704-419-0117 (704) 472-9367 RETIRED GENERAL CONTRACTOR available for small job repairs and ﬁxes. Deck repair a specialty. Rutherford/Cleveland County areas. Bob, 828-476-6058. SCOOTERS AND ELECTRIC CHAIRS REPAIRED. Service at your home. Many used scooters/chairs available. (704) 584-9820 mobilityservices07@gmail.com GUTTER BUSTERS. All around handyman service, including gutter cleaning and blowing and most any yard work, including minor chainsaw work/tree trimming, bush trimming/removal, planting, raised beds, spreading mulch by the truck load, removing clutter of all types, storm damage clean-up, and more. No mowing. Tidy up your place by calling Robert for a free estimate. Serving Cleveland County for years. (980) 2950750 STOP N DROP LAUNDRY. All inclusive laundry service including pick up and delivery! Wash and Dry, Fold, Iron. Each customer will have a personal proﬁle with your preferences. Available for individual, small businesses, sports teams! Lower rates than laundromats and we DELIVER! (704) 431-8395 stopndroplaundry@outlook.com RESIDENTIAL & COMMERCIAL WINDOW CLEANING. Great reputation in Shelby. Reasonable pricing. Email Mel Lockhart: shelbyspotless@gmail.com or call (704) 470-5503 CARPET REPAIR, RESTRETCHING and Installs. Please contact Josh, 570656-4805. 704-484-1047 SMALL ENGINE REPAIR 704-313-2040. Small engine repair, parts, and service. Pick-up/Delivery. Located at 424 South Main St. in Boiling Springs, NC. (704) 313-2040 BRUSH AND DOWN TREE REMOVAL. No job too small. Free estimates. 828-395-0758. PRESSURE WASHING, DECK RESTORE, Landscaping, Mulching, Dryer Vent Cleaning, much more. Experienced. Free estimates. No job too small. Call 704-692-4449. RUTHERFORD COUNTY HUGE INDOOR/OUTDOOR SALE. Fri. & Sat., April 19-20, 9am. Little bit of everything. 230 Country Side Drive, Forest City. 828-245-6694. WOMEN’S SUNDAY DRESSES, size 12, $10 each. Tops, $5 each. High Heel shoes, $5 each. Elvis records, $10 each. Elvis misc. 828-305-0595. 2BR MOBILE HOME FOR SALE. On large leased lot, minutes away from Lake James boat dock, close to Marion Moose Lodge. $16,000. 828-287-8668. HONEY BEES FOR SALE. Some of the best bees available. $120/bees, $230/ bees and new hive. Jackson Corbin, 828-980-1823. 135 MASSEY FERGUSON PERKINS DIESEL TRACTOR, $5500. Reese 5th wheel hitch, 16 ton, $250. 828-287-6745. 2010 FORD MUSTANG V6, 81,470 MILES. VIN:1ZVBP8AM2D5209069. BLACK W/BLACK LEATHER INTERIOR, POWER WINDOWS, LOCKS, MIRRORS, BACK UP CAMERA & BLUETOOTH. REAR WHEEL DRIVE. PRICE $10,900. FOREST CITY, NC. CONTACT NICK AT 864-529-2279. PETS & LIVESTOCK 5 BOXER PUPPIES, $150 EACH. Ready to go 4/21/19. (704) 813-5981 DOG KENNELS start at $189.99 in stock. Lots of sizes available, delivery and install available. Dog roofs, dog houses. J. Johnson Sales, Forest City. 828-245-5895. ONE MALE TOY AUSTRALIAN SHEPHERD. 3 months old, white with brown spots, all shots, worming, green eyes, $250. (704) 482-0178 NEED TO FIND HOMES FOR cats and kittens. Brown, white and calicos. (828) 429-4364 CKC POMERANIAN PUPPY. 8 weeks old, up to date on shots, tan/cream, $500 (704) 300-1988 CHIHUAHUA PUPPIES. Short and long haired, up to date on wormer and shots, $200. Call or text, 704-2970779. 2005 NISSAN ALTIMA $1000, drivable, but transmission needs work. (704) 300-4959 2010 HYUNDAI SANTA FE AWD. 6 cylinder, auto, 170k miles, 4 door, runs great, $3900 ﬁrm. 828-489-9965. 1999 HONDA CIVIC 4dr, $2750. 2004 BMW Convertible, 330 CI, $8950. 1999 Nissan Altima, $1650. 1999 Toyota Camry, $2495. 828287-8668. 1998 FORD CROWN VICTORIA with 181k miles, good condition. Asking $2000. 828-625-0087. 1995 CHRYSLER LEBARON Convertible with spare parts car, $1500. 1997 Dodge Van Ram 2500, $1500. 828-453-0828. HAY RAKE. 8 WHEEL V RAKE, $1200. 828-429-7647. WANT TO BUY A SMALL GARDEN TILLER. 828-4539854. USED CAMPER TOPS FOR SALE. Various sizes and styles. Also buying them in Rutherford County. (828) 980-0881. “LIBBI D” IS SELLING ALL of her registered dolls and 18” American Girl handmade clothes at unbelievable price. Call 828-3953385. B&B YORKIE KENNELS Presenting quality Yorkshire Terrier Puppies. Beautiful, Healthy, Sweet, No Shedding. Let one of these sweet babies light up your family’s life. Call Ms. Barbara to make an appointment to meet your next very best friend. Yorkies vary in size and make perfect emotional therapy dogs. $1000-$1200 each. Facebook: B&BYorkieKennels. 828-625-8612. OCEAN LAKES. 2 or 3 bedrooms, 2 bath, sleeps 6, gas grill, golf cart. Weeks and Weekends available. 704473-1494. /mo. 190 Channels America’s Top 120 CALL TODAY Save 20%! Offer ends 7/10/19. Savings with 2 year price guarantee with AT120 starting at $59.99 compared to everyday price. All offers require credit qualification, 2 year commitment with early termination fee and eAutoPay. Prices include Hopper Duo for qualifying customers. Hopper, Hopper w/ Sling or Hopper 3 $5/mo. more. Upfront fees may apply based on credit qualification. Fees apply for additional TVs: Hopper $15/mo., Joey $5/mo., Super Joey $10/mo. Kimberla’s School of Classical Ballet brings the dream-cometrue fairy tale, Cinderella, to life the weekend of May 17, 18 and 19 at 7 p.m. at the Joy Performance Center in Kings Mountain. This beloved story of a young girl who goes from a lonely servant to a beautiful princess will delight all ages with the beauty and majesty of classical ballet, wrapped in the promise of "happily ever after" and generously sprinkled with a dose of humor will have the audience swept up in romance and gasping with laughter. A special cookies and punch meet and greet with Cinderella and the Fairy Godmother is scheduled for Saturday, May 18, from 4 p.m. to 5:30 p.m., allowing the community to meet with the beloved characters. Special tickets must be purchased for this event: $15 in advance, $20 at the door. Tickets are $12 each in advance or $15 at the door for general admission seating, or $80 in advance or $100 at the door for a mezzanine seating, with a cluster of 4 seats and includes hors d'oeuvres. Tickets are available by calling 704300-4130 or can be ordered online at https://sites.google. com/site/kimberlasclassicalballet/cinderella-tickets. city that will allow public works personnel to locate waterlines and sewerlines in the area. The City of Bessemer City intends to develop asset inventories, and other components for the water/sewer system. Both grants amount to over $1 million in state funds at no cost to the city or tax payers. $PD]LQJUDFHSDUWLFLSDQWVSUHSDUHIRUWKHWZRPLOHHYHQWDWWKHRSHQLQJFHUHPRQ\KRVWHGE\0D\RU%HFN\66PLWK3KRWRV Pictured: Amazing race participants prepare for the two mile event at the opening ceremony hosted by Mayor Becky S. Smith. E\%&5HF'HSW Photos by BC Rec Dept. “You Haven’t The Right,” “Hey Little Girl” and their signature song “Summertime’s Calling Me” from 1975. We will feature live music from “Catalina’s”, food vendors, classic cars, and family fun! Don’t meet us there, beat us there! Visit www.Bessemercity.com for the full series schedule!